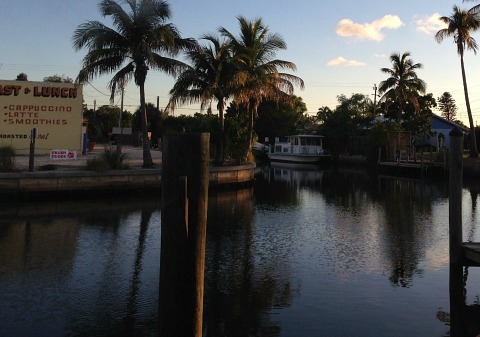 To experience old Florida charm, there's no place like Matlacha. And to experience fresh locally-caught seafood, you need to get yourself to the Fish House, one of the Matlacha restaurants that serve it. It's such a tiny island that almost every building is on the water, either on a canal or Matlacha Pass. The Pass is part of the system of estuary and inland waters of Pine Island Sound that make Southwest Florida a place that is known for some of the best fishing in the world. Not only that ......... shops, homes, restaurants and other buildings are painted in bright colors that go very well with Florida's sunny blue skies and the green waters of Matlacha Pass. The Old Fish House Restaurant is no exception ........ you can't miss the colorful fish sign and red building. 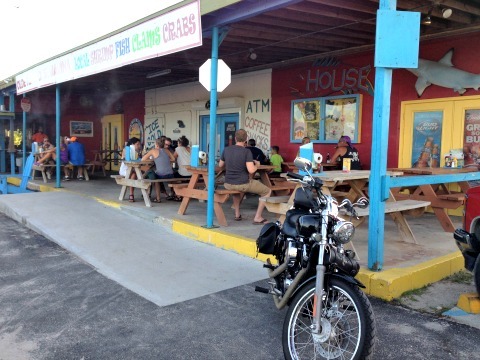 The Fish House is family-owned and has both a seafood market and restaurant. 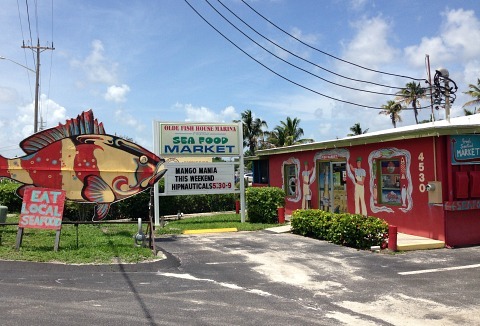 Purchase local fish and seafood such as grouper, snapper, shrimp, crab, clams, and oysters. You can also have them filet your fish for you, if needed. As for the restaurant, you can enjoy the same fresh seafood ..... served from dock to table. You'll find chowders and soups, starters, burgers, sandwiches, gator, poboys, chicken or seafood baskets, platters ........ and dessert. The atmosphere is definitely casual, seating is outside and under cover with picnic tables that are set up in front as well as at the back of the market and restaurant. If you really want to hear the live music, you'll want to grab a table at the back of the restaurant. 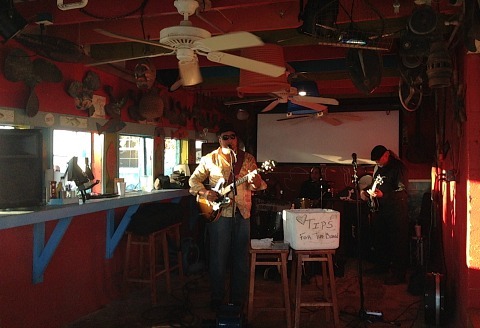 Locals, snowbirds, and tourists make up the friendly crowd to enjoy blues, rock, and an eclectic assortment of musicians. Contact them for information about boat slip rentals for up to 7 days. The seafood market is open daily from 9AM-7PM ......... the restaurant is open Sunday - Monday from 11AM-8PM, Tuesday - Saturday from 11AM-9PM. 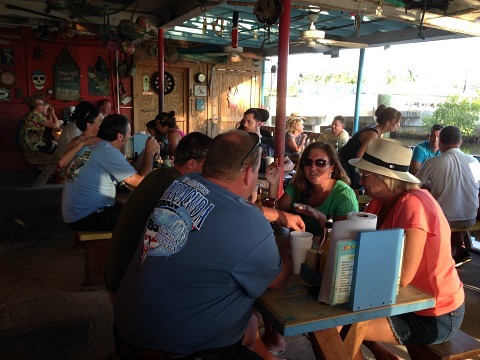 Weekly Specials include the delicious Taco Tuesdays and Fish Fry Fridays. Call for their newest service, delivery of fresh and ready-to-cook seafood to your home.